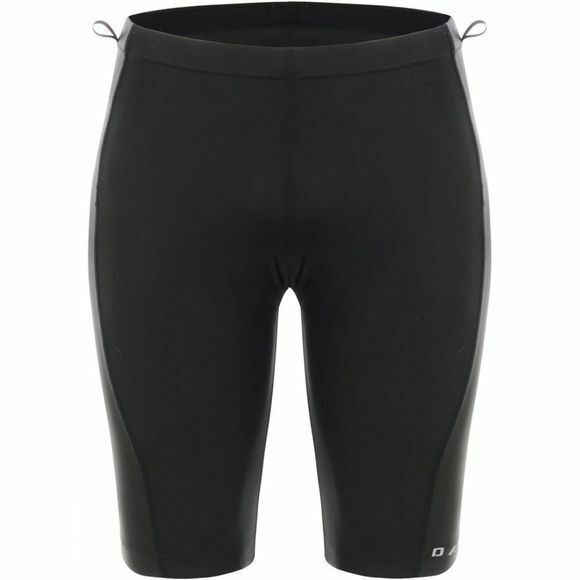 The Men's Turnaround Shorts from Dare 2B are padded cycling shorts that offer excellent saddle comfort all day long. They are quick drying and offer excellent wicking performance while the flat lock seams reduce the chance of any irritation. The anatomically designed padded insert features Oxy Flow ventilation as well as Coolmax moisture control and anti-bacterial treatment to ensure it stays fresh for longer and ensures a comfortable seat. The interactive attachment loops at the waistband can be attached to a pair of outer shorts (sold separately) for a more modest look and gel gripper tape at the hem reduces the chance of them riding up mid-route.